Ottawa choir, The Stairwell Carollers, perform the popular French Canadian carol, Doù viens-tu, bergère?, arranged by André Bellefeuille, at their 40th anniversary concert “An all Canadian Christmas”. Recorded at Knox Presbyterian Church, Ottawa, Ontario, Canada, Dec 15th, 2017. 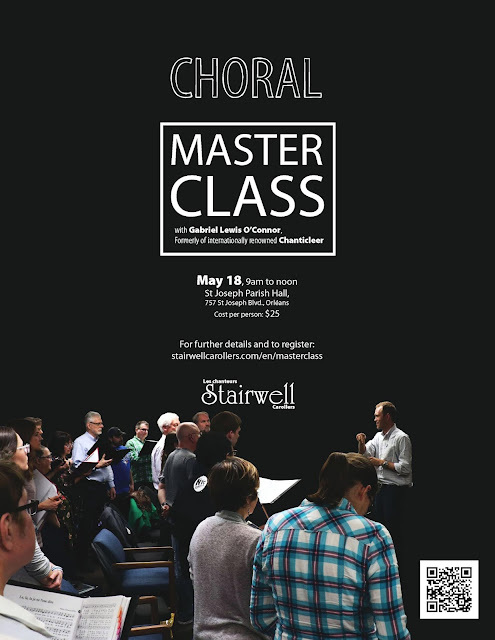 Pierre Massie created our a cappella choir in 1977 while he was a music student at Ottawa University. We are ranked among the best of Ontario choirs, winning both the 2010 and 2013 Ontario Music Festival Association competitions. A registered Canadian charity, The Carollers also help local charities with net proceeds from concert, CD and cookbook sales.